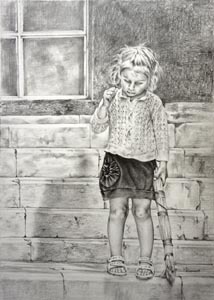 OnlineArt Gallery:: Russian Art Online. Oil painting. Fantasy Art. Face Painting. Landscapes. Still life. Realism. Impressionism. 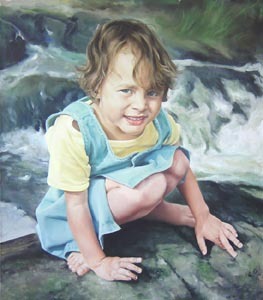 Girl near stream. Yuri Kazantsev. 2013, oil painting: oil on canvas, 65x80 cm (25 1/2"x31 1/2"). 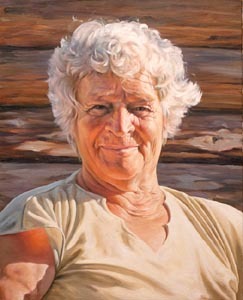 2011, oil painting: oil on canvas, 40x50 cm (15 3/4"x19 3/4"). 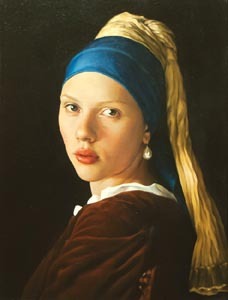 Girl with ear-ring. Yuri Kazantsev. 2012, oil painting: oil on canvas, 40x50 cm (15 3/4"x19 3/4"). 2013, oil painting: oil on canvas, 42x60 cm (16 1/2"x23 1/2"). If you wish to receive information about new samples in our online art gallery, subscribe please for our news announcement letter. Sign your e-mail please and push the "Subscribe" button.